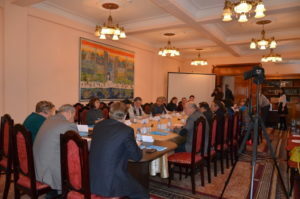 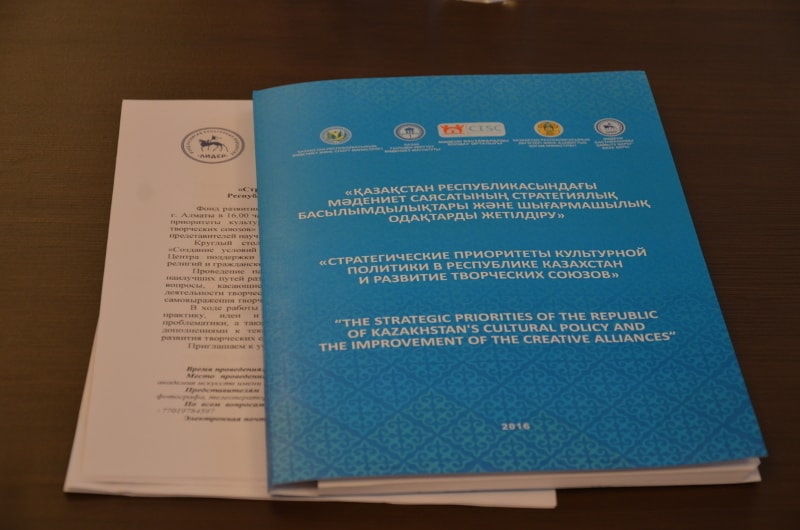 Cultural Dialogue took part in a round table discussion on strategic priorities of the cultural policy of the Republic of Kazakhstan and development of the creative unions. 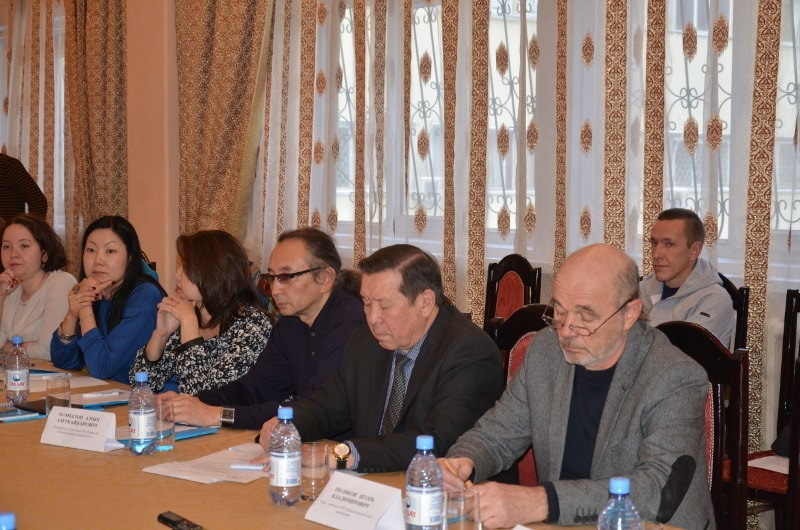 The event was held at the Kazakh National Academy of Arts named after Zhurgenov Tymirbek supported by Kazakhstan Ministry of Culture And Sports and the Ministry of Religious Affairs And Civil Society. 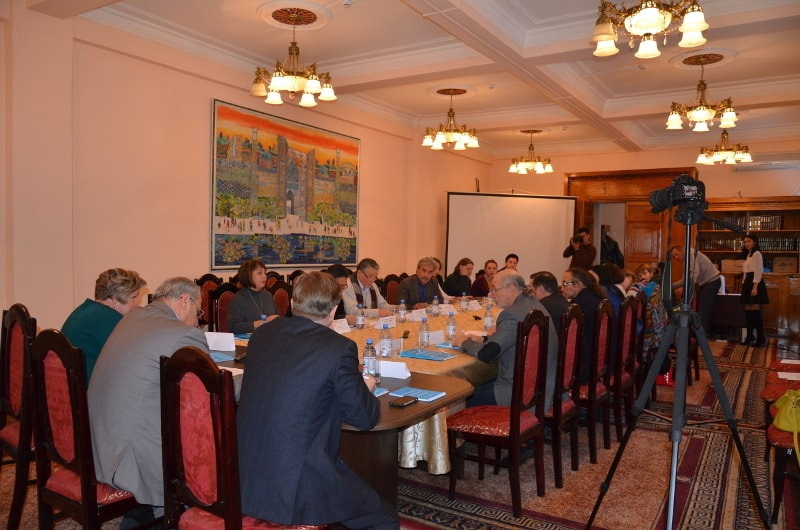 The event was attended by prominent figures of culture, art, representatives of scientific intelligentsia, creative unions and media. During the round table experts of the working group addressed issues relating to public support and consolidate the activities of the creative unions, the status of the artist – a mechanism for attestation, the powers, preferences and responsibilities of the creative unions. 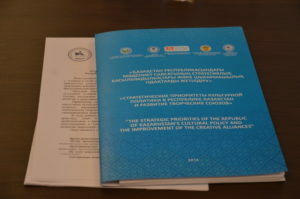 During the discussion, all participants noted the necessity of adopting a unified Strategy for the development of creative unions and engage in effective dialogue with state bodies and expressed readiness for further collaboration on the project.